Eating fresh, healthy food doesn’t have to take lots of time. This food processor salad is quite literally whipped up in minutes and will result in very minimal washing up – just your food processor and the plates you eat off of! 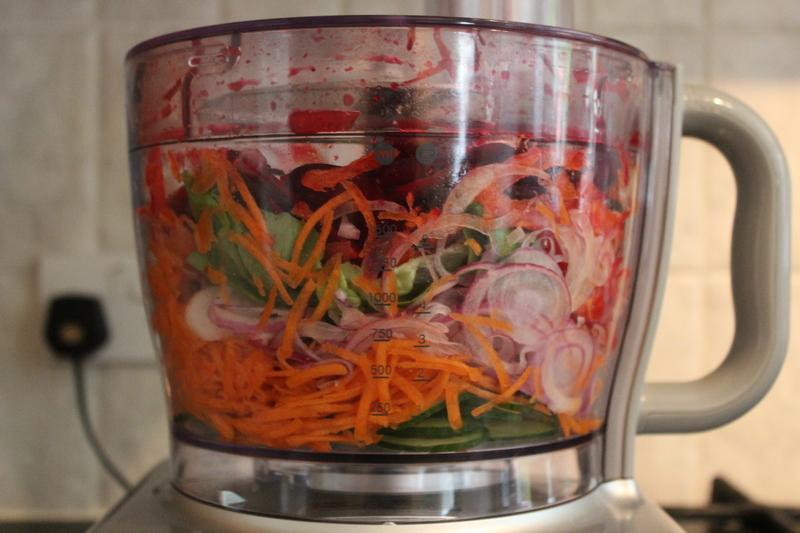 The concept is simple, take tasty fresh vegetables: cucumber, red onion, beetroot, carrots and red pepper. Chuck them into your food processor using the thin slicing blade and blitz! Toss the sliced veggies with some shredded lettuce and drizzle over a simple dressing of lemon, olive oil and pepper. 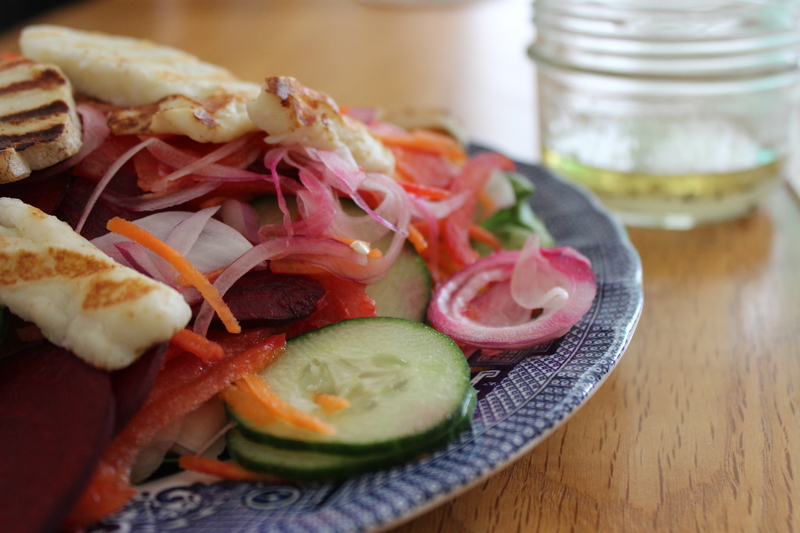 For an extra bite, griddle some halloumi on a high heat and serve on top of the salad. I defy anyone to not love the look of the vibrant Rainbow Salad. It just makes you want to dive right in! The flavours are also really fresh and zingy. It tastes good for you and is incredibly satisfying. Why resort to ordering from the takeaway when you could be eating my Rainbow Food Processor Salad in the time it takes to find the Chinese takeaway menu! Do you use a food processor to speed up the time it takes to prep for your meals, or like me have you been scoffing too much convenience food lately?